69. 12-10-2018 Selection of Special Public Prosecutors (SPPs) for handling Prosecution Cases at Hon'ble Civil Court, Bengaluru and Hon'ble Special Court for Economic Offences, Bengaluru - Reg. 64. 17-10-2017 CBIC Press Release dt 17.10.2017 on -- "Measures taken to reduce the pendency of cases with the Commr. (Appeal)", for taking necessary action. 61. 09.10.2017 CBIC Press Release dt 09.10.2017 on "Last Date for GSTR-1 filing"
60. 06.10.2017 CBIC Press Release dt 06.10.2017 on "Export Package GST"
59. 06.10.2017 CBIC Press Release dt 06.10.2017 on "GST Rate Approved by GST Council"
58. 06.10.2017 CBIC Press Release dt 06.10.2017 on "Decisions taken by the GST Council in the 22nd meeting"
57. 06.10.2017 CBIC Press Release dt 06.10.2017 - "GST package for Small Units"
56. 03.10.2017 CBIC Press Release dt 03.10.2017 clarification on "Pricing of Petro Products"
55. 03.10.2017 CBIC Press Release dt 29.09.2017 on "Extending Facility of LUT to more exporters"
53. 26.09.2017 CBIC Press Release dt 26.09.2017 on "GST Revenue Figures-September 17"
52. 22-09-2017 CBIC Press Release dt 22.09.2017 on "Branded Food Products actionable claim"
51. 22-09-2017 CBIC Press Release dt 22.09.2017 on "Blockage of working capital of Exporters"
50. 22-09-2017 CBIC Press Release dt 22.09.2017 on "Clarification About Transition Credit"
46. 30-08-2017 CBIC Press Release dt 30.08.2017 on "GST (Compensation to States) Act 2017"
42. 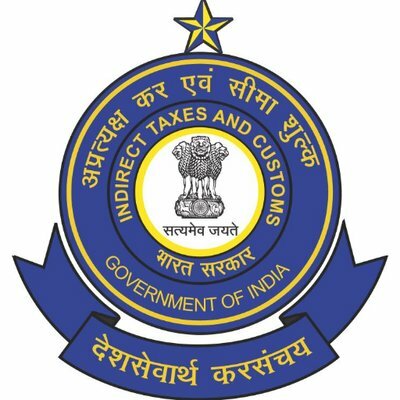 19-08-2017 CBIC Press Release dt 19.08.2017 on "LAST DATE FOR PAYMENT OF GST AND FILING OF RETURN FOR JULY 2017 EXTENDED BY 5 DAYS"
33. 15-07-2017 Press Release dt 15.07.2017 on "Legal Services"
20. 07-07-2017 Press Release dt 07.07.2017 on "Education"
10. 14-06-2017 Carry Forward of unavailed Cenvat Credit in respect of assignment of right to use any natural resource under GST--reg.